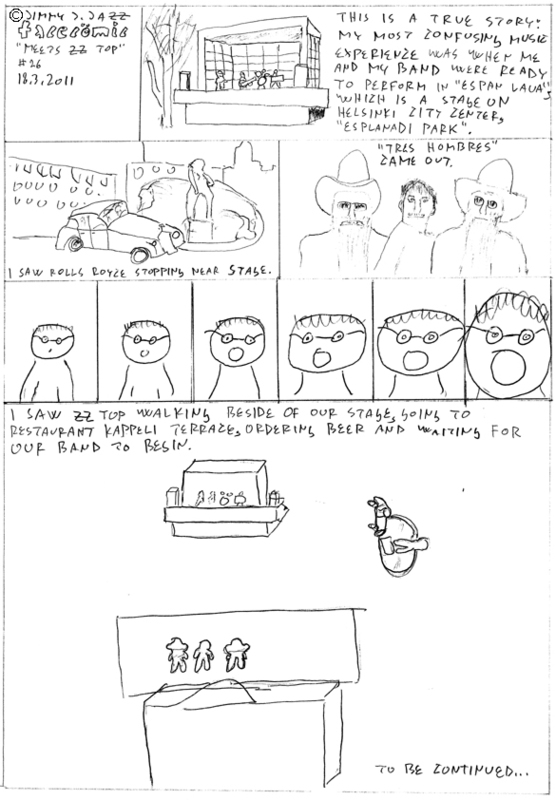 This is a true story: my most confusing music experience was when me and my band were ready to perform in "Espan lava", which is the stage on Helsinki city center, "Esplanadi park". I saw Rolls-Royce stopping near stage. I saw ZZ Top walking beside of our stage, going to restaurant Kappeli terrace, ordering beer and waiting for our band to begin.